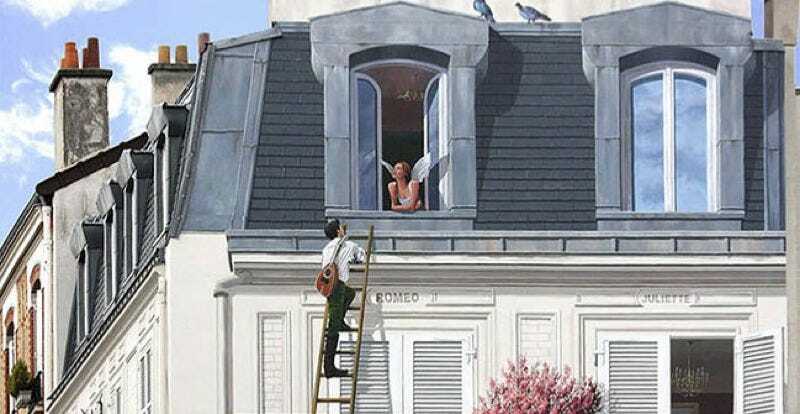 Trompe l’oeil (literally “to deceive the eye”) is an ancient technique whereby a painter creates a visual illusion via a trick of perspective. French street artist Patrick Commecy is a modern master of this art form, working with his team of artists at A-Fresco to create huge, hyper-realistic murals on otherwise drab building facades. For even more amazing trompe l’oeil murals, check out the A-Fresco website (in French).